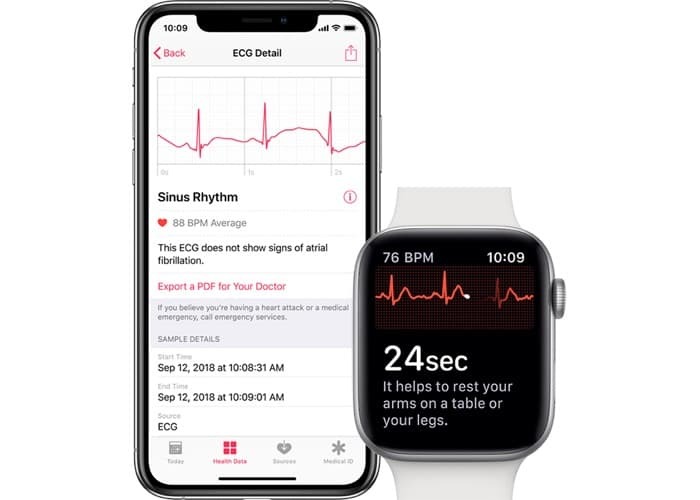 Apple is releasing a software update for its Apple Watch and the latest version of the smartwatch, the Series 4 now supports Apple’s ECG feature. As well as the ECG feature Apple is also releasing an irregular rate notification which monitors if you have an irregular heart rate, this will work in devices back to Series 1 of the Watch. The ECG feature on the Apple Watch Series 4 will let you take an ECG by holding your index finger on the crown for 30 seconds. This feature is only going to be available in the US at first as Apple has received FDA approval and needs approval from regulators in other countries. As yet there are no details on exactly when the update will land.